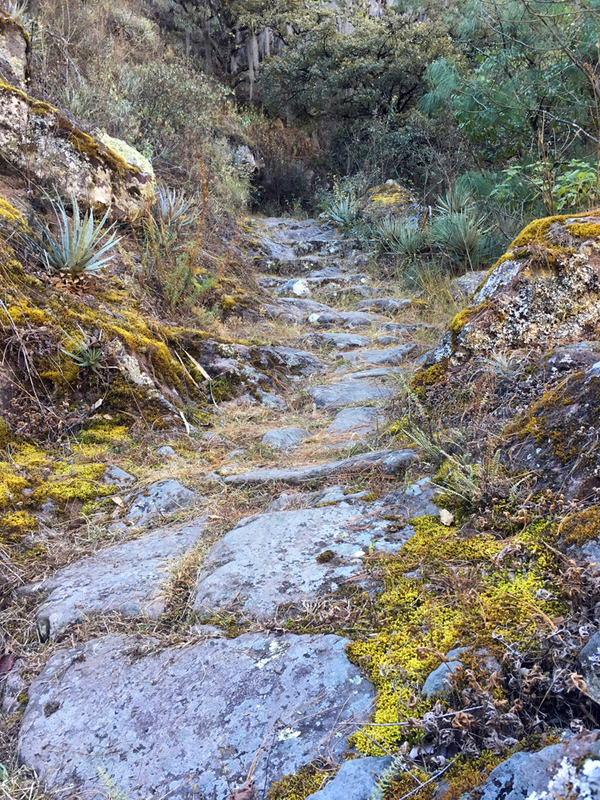 I spent a week hiking in the Pueblos Mancomunados a couple hours by bus into the highlands above Oaxaca City. 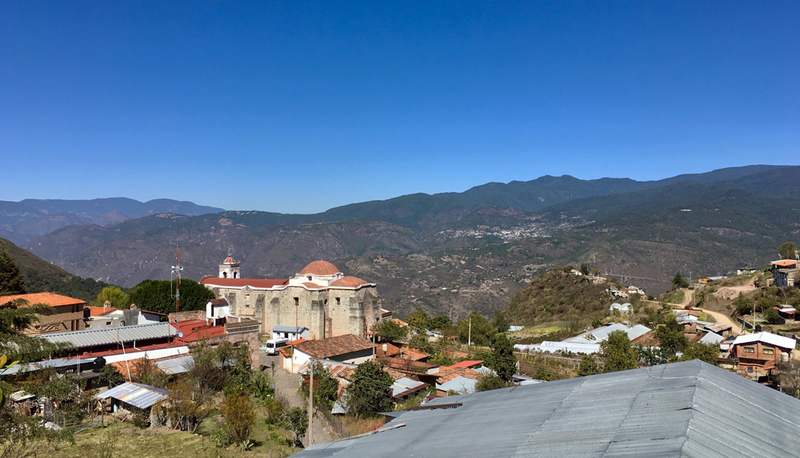 The Pueblos are a group of 8 towns communally organized with tourist cabins and a place to eat in each town. They’re about ten to twenty kilometers away from each other so it’s easy to hike from town to town with just a daypack. 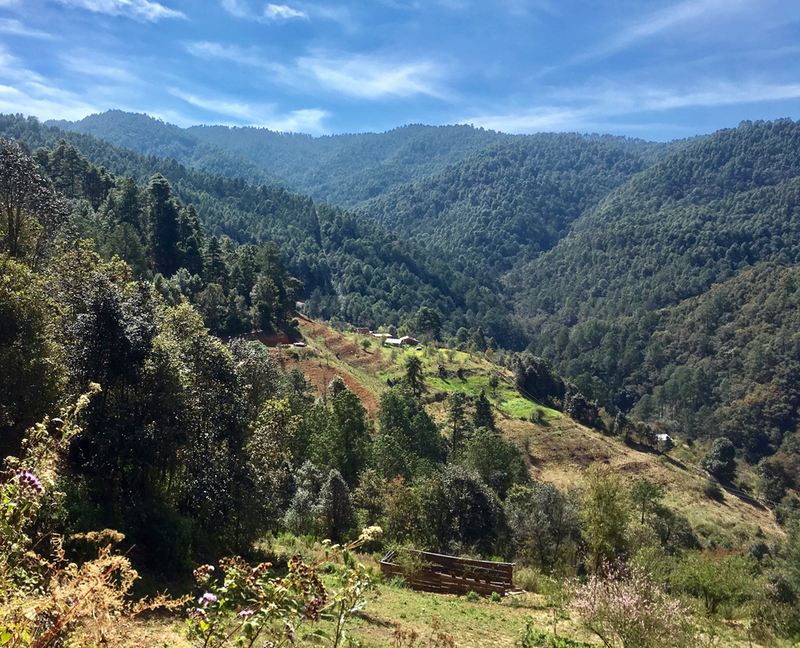 It’s pretty country, a nice easy walking tour, and the highlight was a section of pre-hispanic trail between Lachatao and Latuvi. My photos and watercolors from the hike are below. 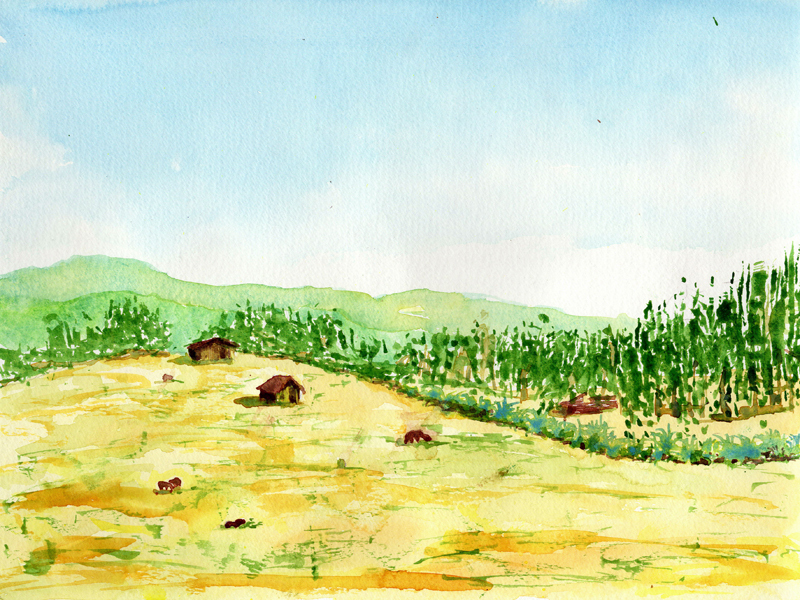 A lot of the hiking was through oak and pine forest mixed with fields either plowed for corn or with animals grazing. 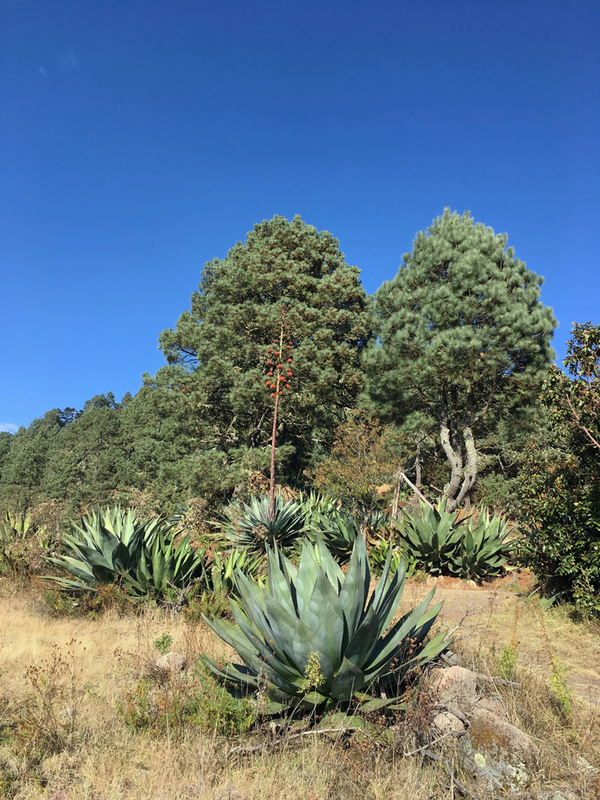 Many of the fields were lined with agaves, partly to keep animals in or out of the fields but probably also for making mescal. A few of the fields had rows of Agapanthus and Calla Lily, which puzzled me, but then I later saw them used as cut flowers in other parts of Oaxaca. I’m such a snob about Agapanthus, I forgot that it actually makes a good cut flower if you don’t see it in every McDonald’s parking lot. 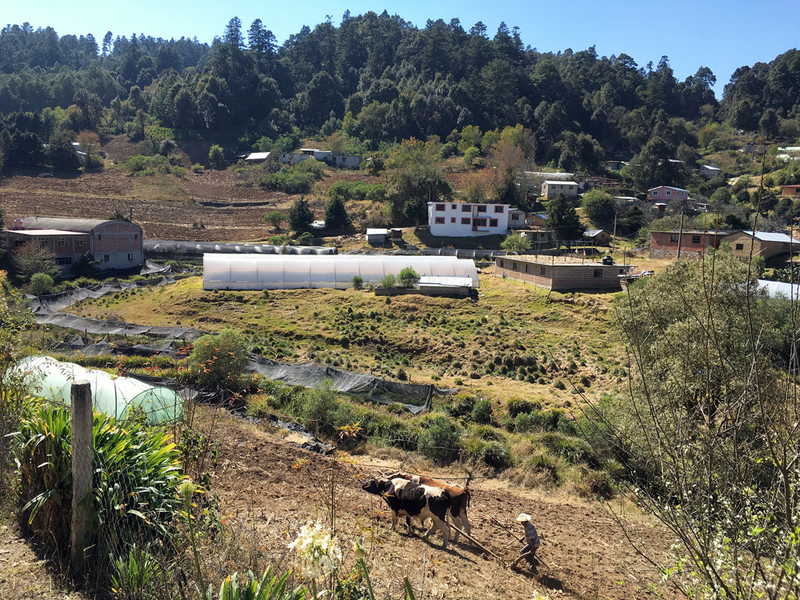 The area has an interesting mix of traditional and modern elements, oxen and a rudimentary plow used alongside plastic hoop houses. 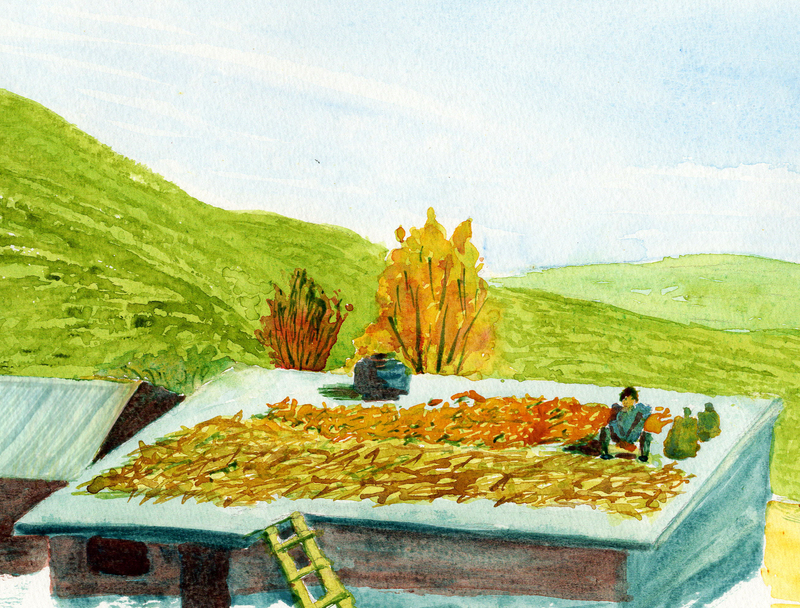 Steep country to be farming, but a lovely place to sit and shuck corn. 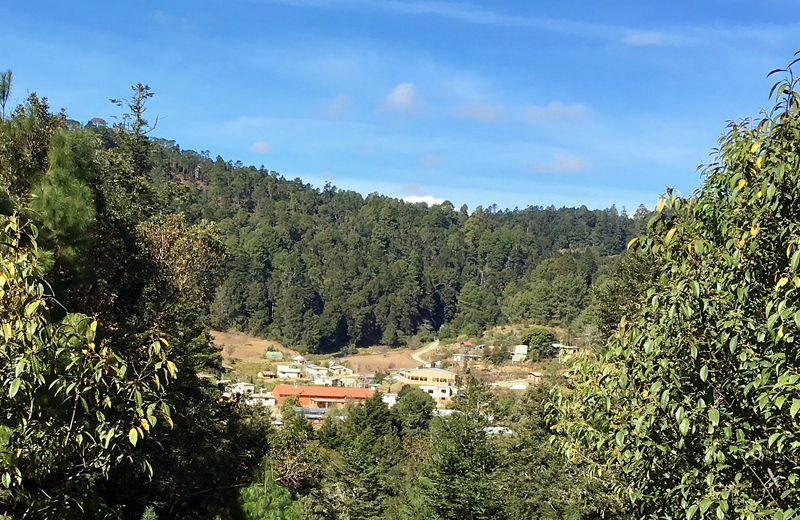 The pueblos are up at about 9,000 feet in elevation, and a lot of the wild plants are from the same genuses we have in California. I saw Arctostaphylos (pungens? ), Ceanothus, Madrone, Oak, Pine, Adiantum, Juncus, Heuchera, Iris, Sambucus, and maybe Physocarpus and Spiraea. A similar thing happened when I was hiking the sky islands in Tucson, I recognized many of the plants as variations of our California natives. 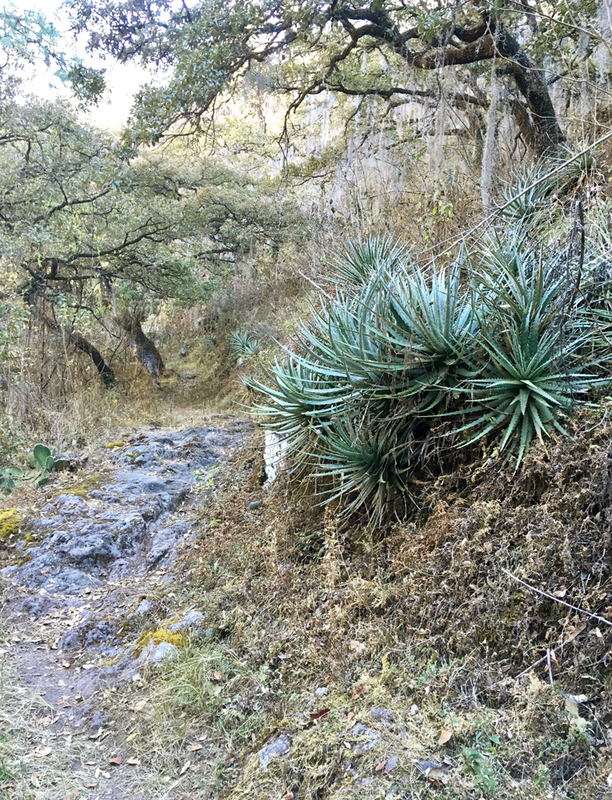 Fascinating to think that 9000 feet in Oaxaca, 5,000 feet in Tucson, and roughly sea level in California would have such similar plants. 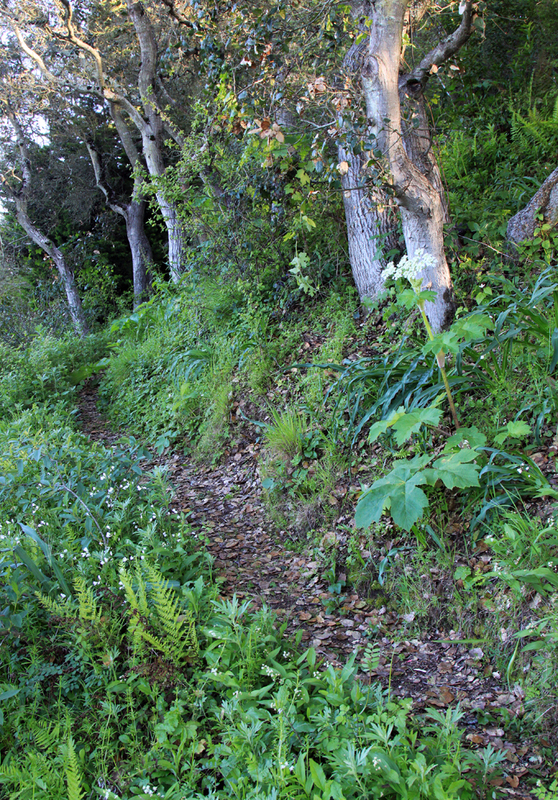 The photo above could easily come from the trail in the Oakland Hills garden that we maintain. But some sections were unmistakably in Mexico. 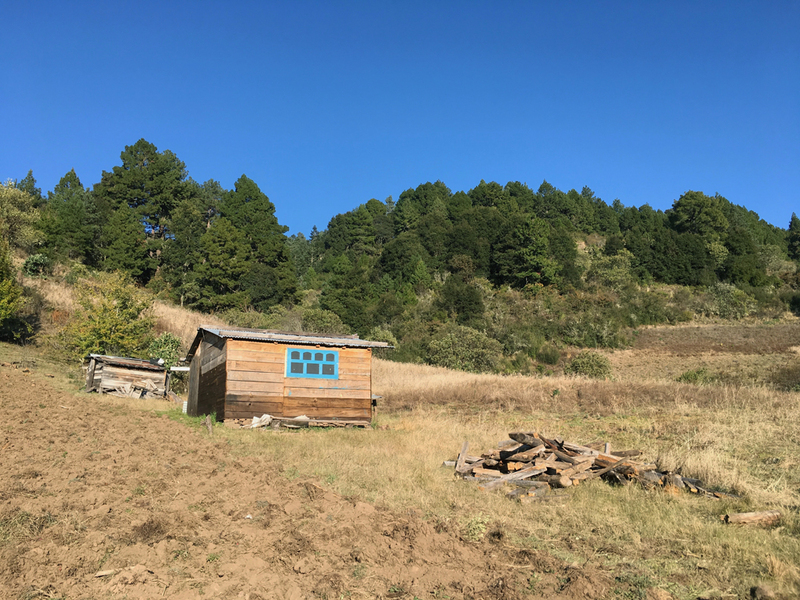 The best section of trail, between Lachatao and Latuvi, dates from before before the Spanish arrived, and you can feel the hoariness. 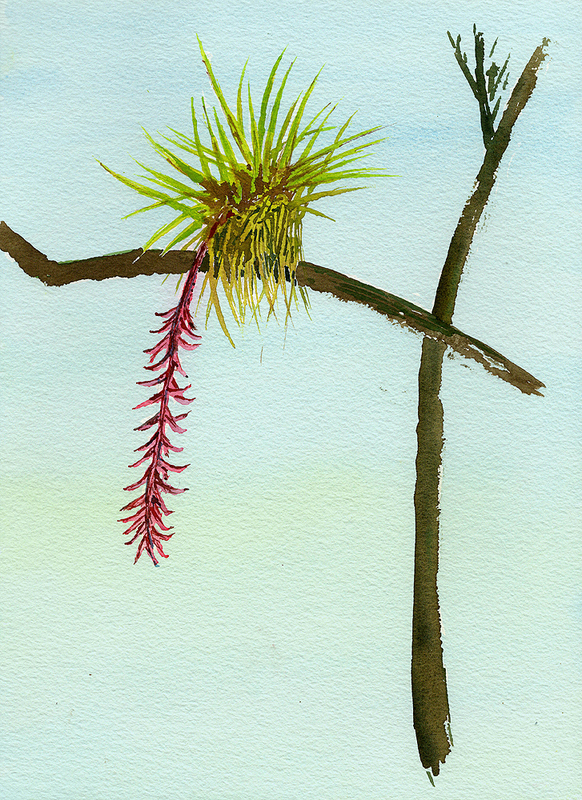 There were a few small stone ruins, some aged retaining walls, and the oaks on the trail were full of flowering bromeliads and, at the lowest elevations, Spanish Moss. 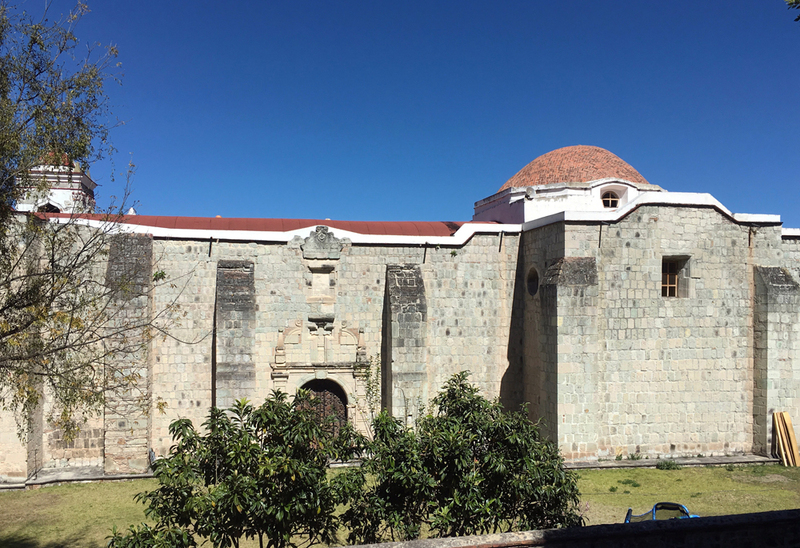 There’s something about pre-Hispanic riprap. Sublime. 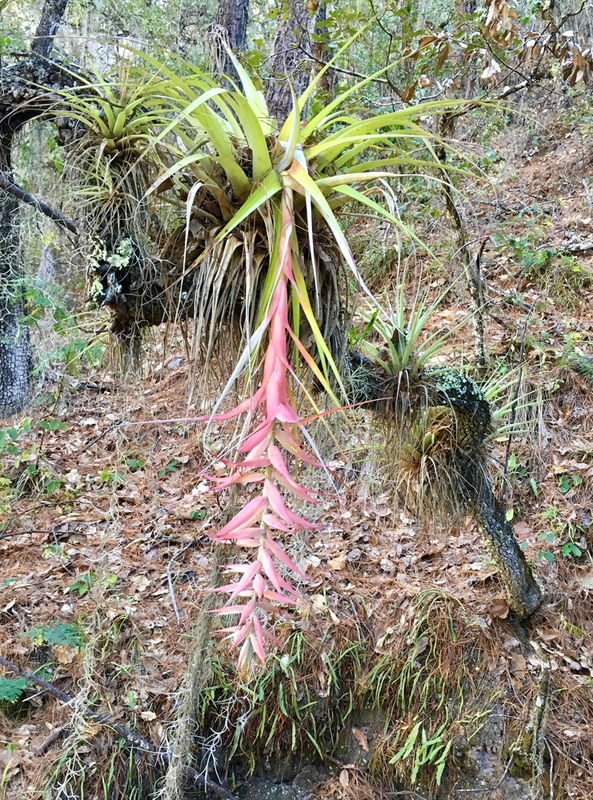 Trees were filled with this bromeliad, many of them blooming. 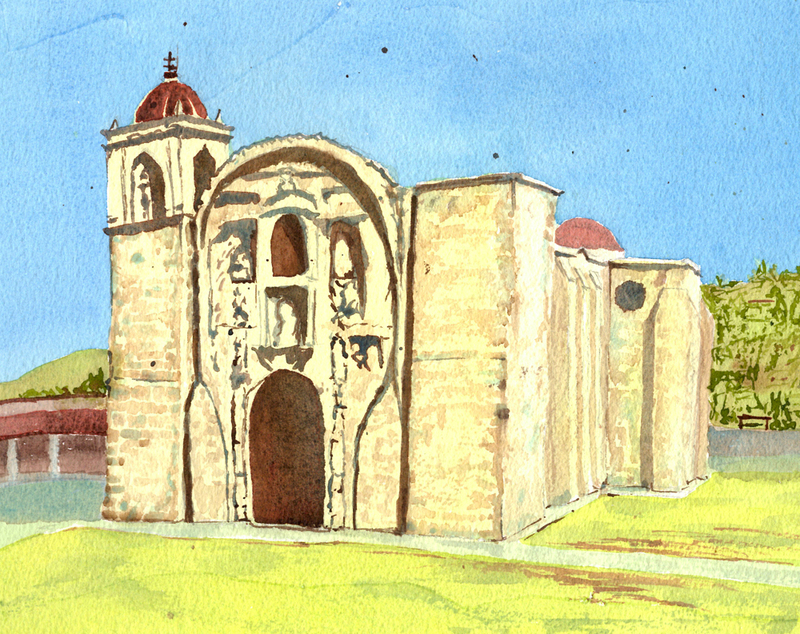 Lachatao’s stone church made a nice destination at the end of the pre-hispanic trail. 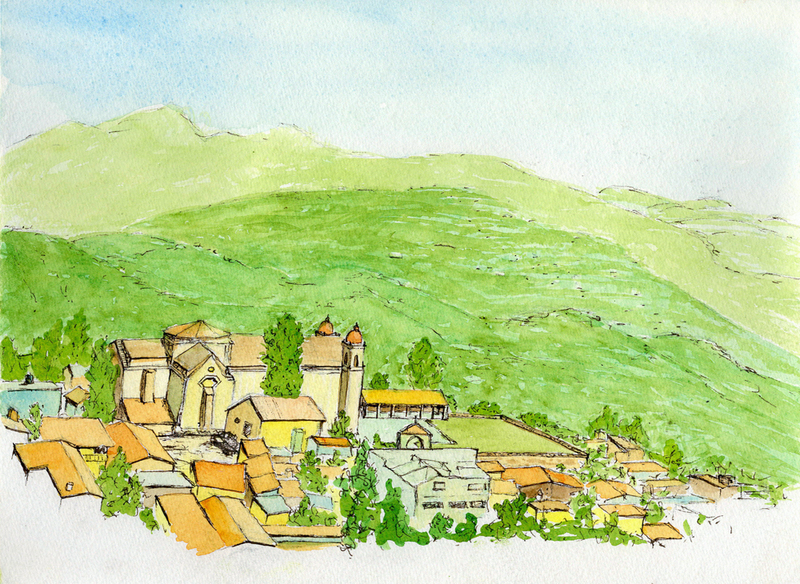 This last view is from the town of Capulalpam. 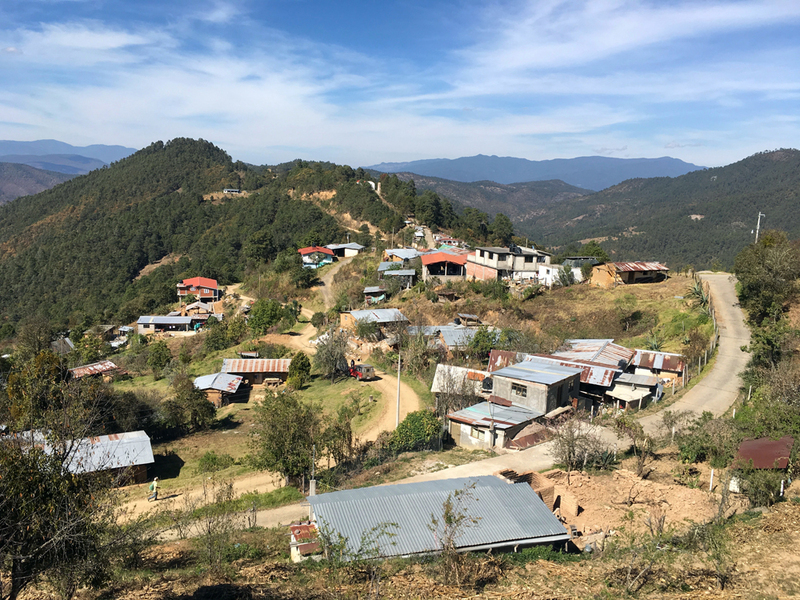 Technically not part of the Pueblos Mancomunados, but another nice destination and it sported a view back towards the pueblos, the houses of Lachatao like little dots on the distant hillside. 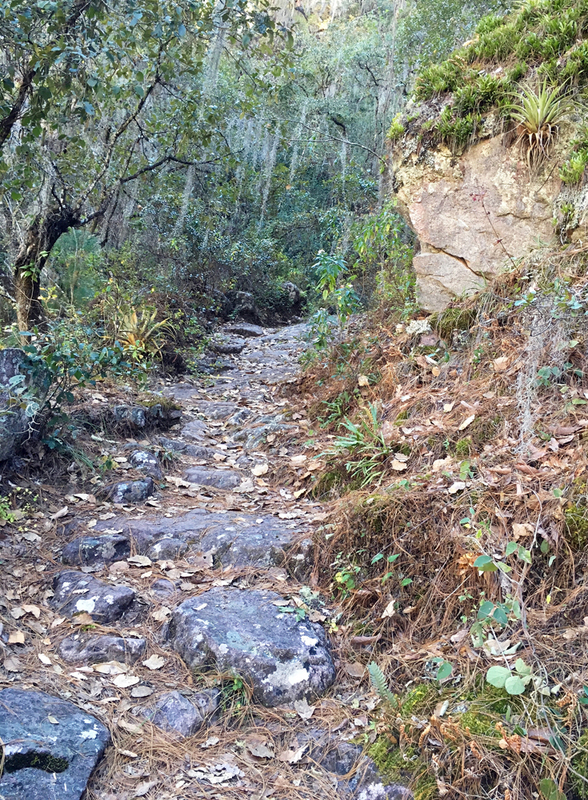 Overall a charming area to explore, and that section of pre-hispanic trail ranks up there with any other trail in Mexico. 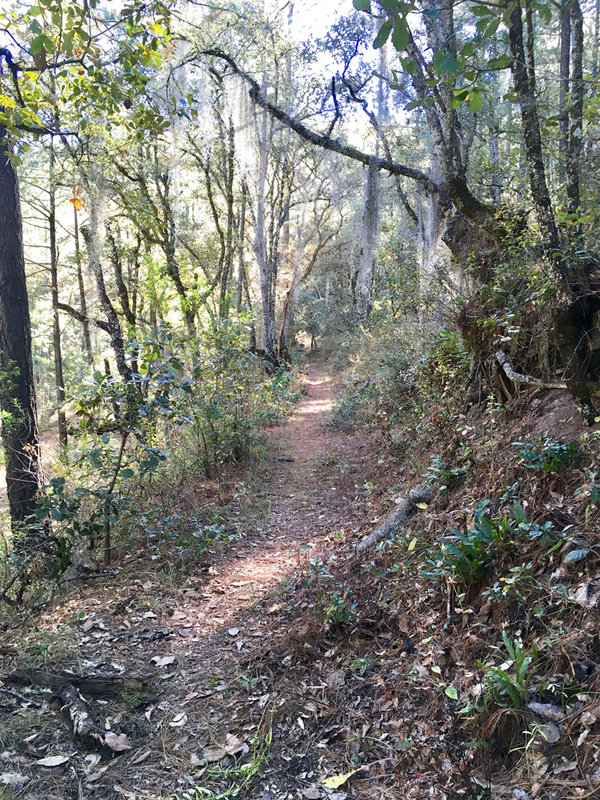 This entry was posted on Monday, March 20th, 2017 at 7:14 am and is filed under trails. You can follow any responses to this entry through the RSS 2.0 feed. You can leave a response, or trackback from your own site. That is indeed beautiful riprap.